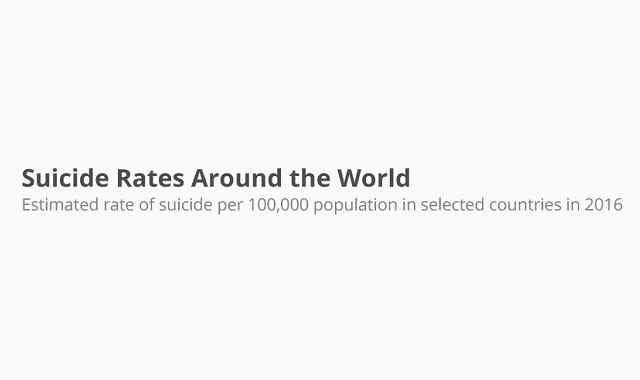 Suicide Rates Around the World #Infographic ~ Visualistan '+g+"
We've pulled together the suicide rates of a selection of countries, by gender. 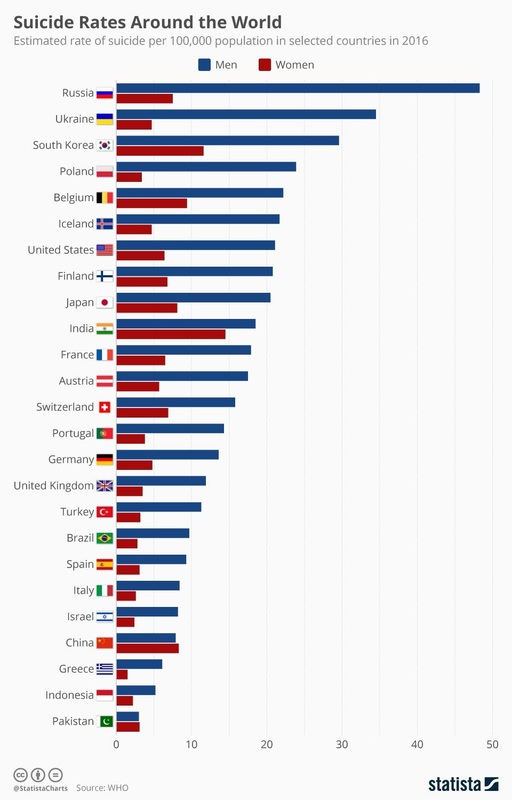 Of the 25 looked at here, the World Health Organization estimates Russia to have by far the highest rate among men, at 48.3 cases per 100,000 population in 2016. For women, India has the highest rate, with 14.5 cases. On the whole, more men than women commit suicide however there are some exceptions. In China, the rate for women is 8.3 while for men it is 7.9.